Musharraf Husain Khan, born in 1931 in what was then part of East Pakistan, embarked on a naval career which eventually led to his promotion to Admiral. He became a leading figure in the government of the new country of Bangladesh, and as Chief of the Naval Staff in the 1970s he even served briefly as Acting President. He lived through the upheavals of the Bangladesh Liberation War and was close to its premier, Sheikh Mujibur Rahman, who was murdered with his family in a bloody coup in 1975. 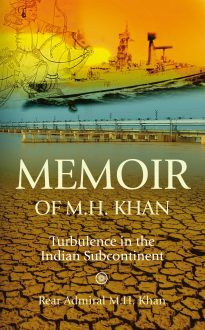 In more peaceful times, M H Khan drove the creation and development of the Bangladesh Navy and led Bangladesh’s campaign to persuade India to reduce abstraction from the Ganges, which was causing immense hardship to his country further downriver. In this autobiography he tells his story and reflects on issues vital to his country, from religion and education to shipping, fishing and international relations.